Trenton Kentucky will hold its annual Heart of Trenton Celebration today, but there was much preparation that had to be done ahead of time in order to welcome several thousand visitors to that tiny town. 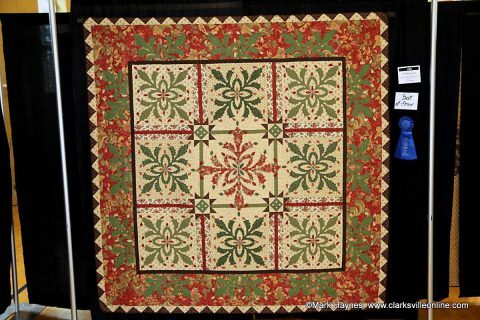 This year I was invited to help with preparing the annual Quilt Show , which is held at the Golden Threads Drapery Shop on South Main Street. 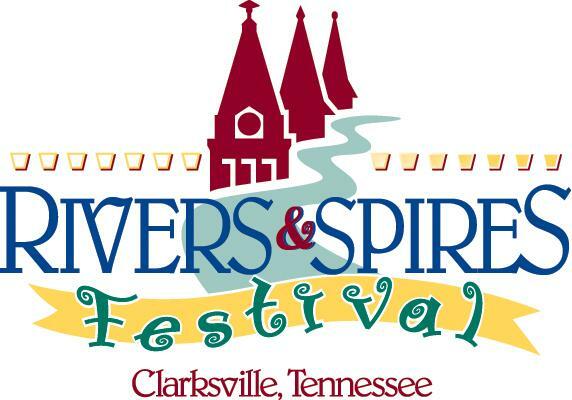 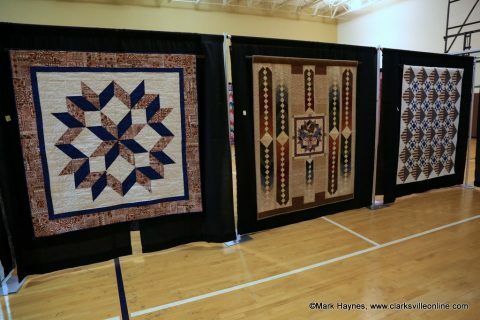 Visitors will be delighted to see some old favorites as well as newly made quilts from the surrounding areas. 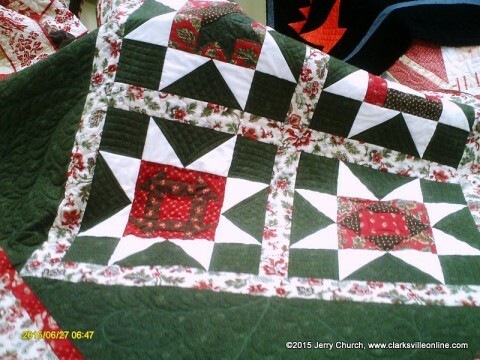 Trenton now has a new quilt shop named Quilt and Sew at Golden Threads, and the owner, Denise Shivers, is also the co-ordinator for the Quilt Show. 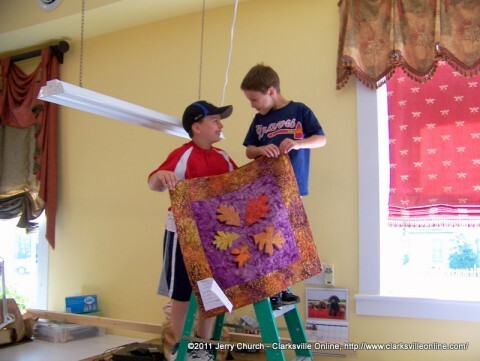 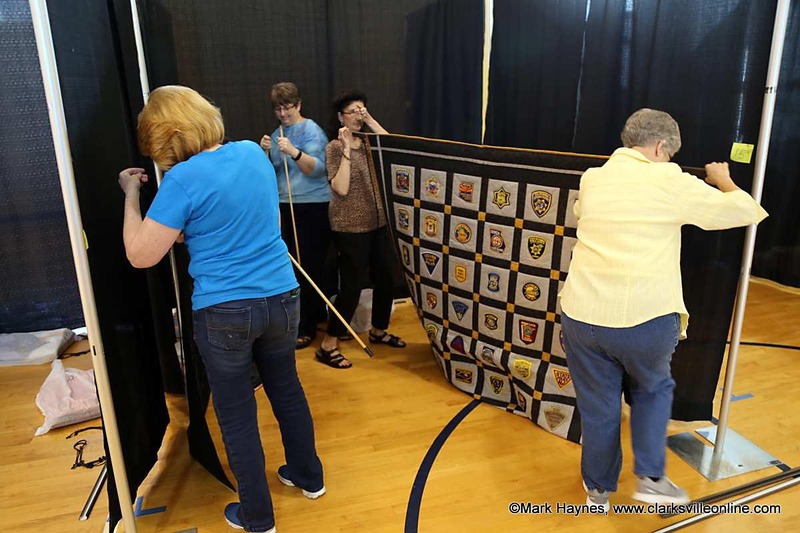 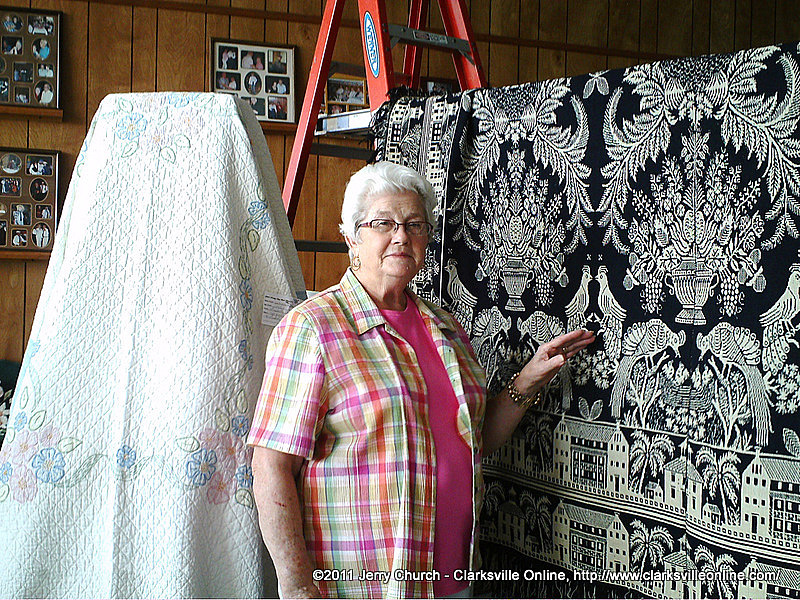 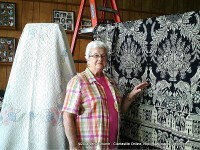 Clarksville, TN – The weather outside on Saturday was blustery, cold and miserable, but inside the lower level of Madison Street Methodist Church was a display of quilts that warmed the heart of any by-stander. 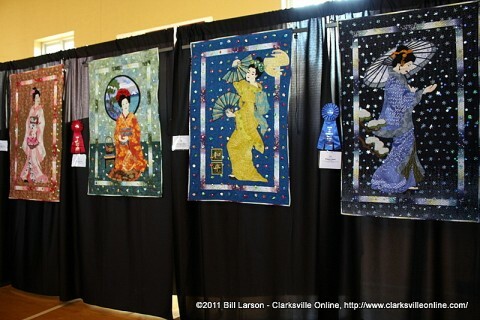 Quilts of the Cumberland featured more than 50 quilts, ranging from tiny miniatures to full bed-sized artworks. 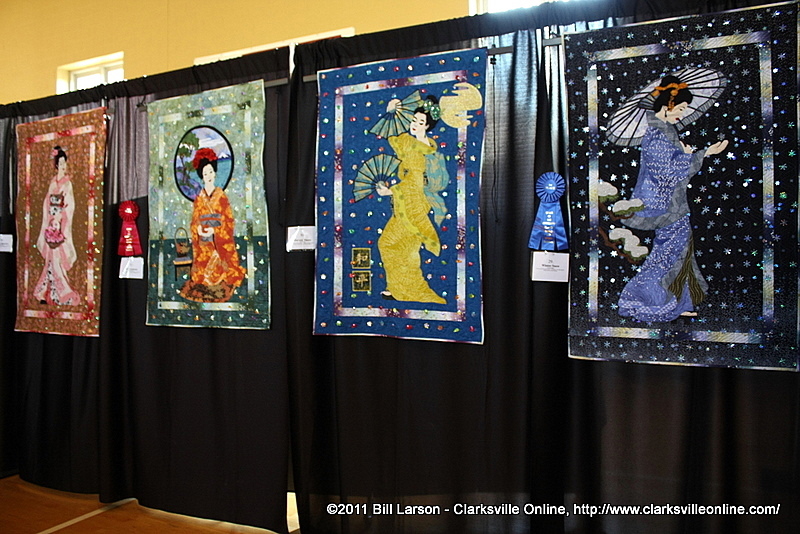 The variety of quilts shown in this exhibit ranged from the perfection of purple geometric pieces in French Braid to the beautiful Geisha of Winter Snow and Tea Ceremony to the shimmering fish in Retiring Fish. 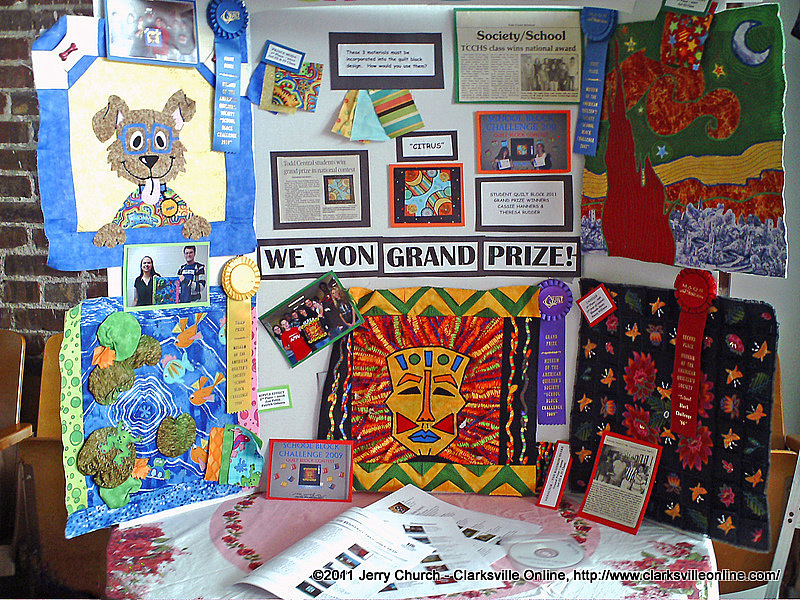 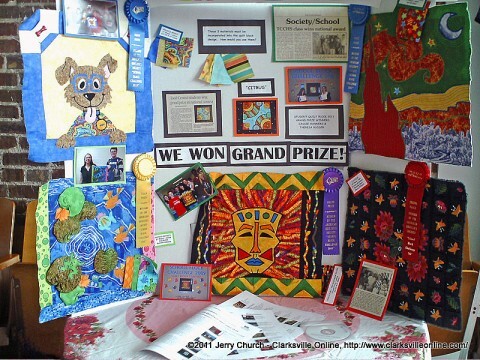 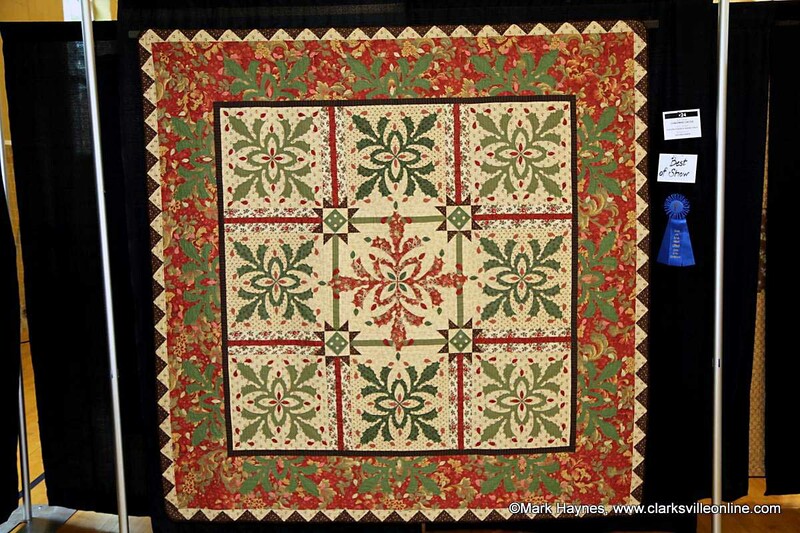 Other quilts featured everything from animals to clowns to romantic flower designs.